MELVINDALE, Mich. (WXYZ) — In this week's most wanted, shocking murder charges in the death of a Melvindale father, four months after the heinous crimes. The body of David Carter was discovered along I-75 in Ohio in October, shortly after his family reported him missing. Now, police are revealing only to 7 Action News that they know who is responsible for his death. 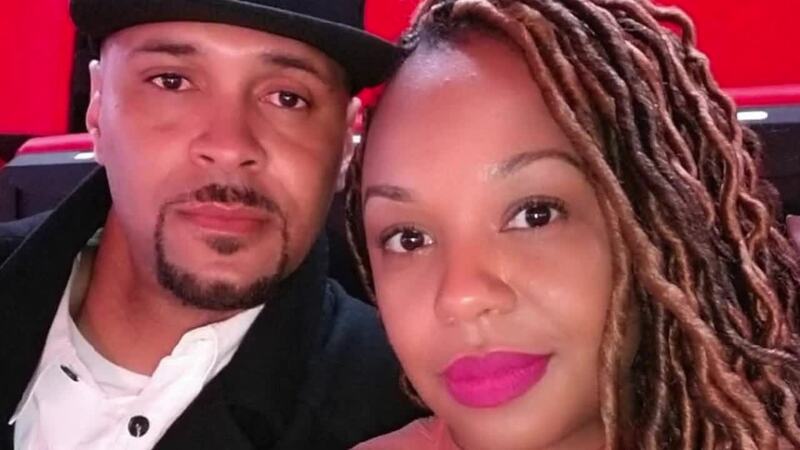 The hunt is on for 39-year-old Tamera Williams, who was Carter's girlfriend at the time. "A manipulative person, an evil person out there who thought this out, and – she killed her boyfriend," U.S. Marshals Deputy Aaron Garcia said. Williams, who goes by "Tammy," was his girlfriend of six months with no criminal history. Carter's family said she was always by his side. That is, until he disappeared at the beginning of October. "We couldn’t get rid of her before, but then now when were looking for her – she was in communication with us," Carter's sister, Tasia Jackson, said. "I said, 'Tammy, where’s my brother?' And she’s like, 'I don’t know. Taija I told you I don’t know where she is.' I know that she did something to my brother." According to Marshals, what she did to her boyfriend is "horrible, it's brutal," saying a normal person doesn't do these things. Police say she got wind they were onto her and she took off. The Carter family's worst fears were realized shortly after he went missing, when they got a call saying he had been found dead on the side of I-75 in Ohio. The hunt is on across the nation for her. "She’s very closely affiliated with the eastern stars sorority, we know she has a lot of friends – a huge network with the eastern stars which are connected to the masons and the freemasons," Garcia said. The Marshals believe they may be helping her without knowing she's a fugitive. She also used to work as a travel agent and is known to frequent other countries. She was working as a phlebotomist at the time of the murder and they tracked her to Brooklyn, N.Y. after taking a train from Ann Arbor, and that was three months ago. It's now been four months since the family lost a part of their hearts, and a 16-year-old lost his father. "Tamera, you’re out there, you know us you know what you’ve done – turn yourself in baby, you can’t keep running – sooner or later law enforcement will find you- spare us and and yourself and your family the grief of going through all of this, turn yourself in sweetheart," David's father, Elton, said. Tamera Williams is 5-feet-9, 190 pounds with several notable tattoos. Police believe she may have changed her hair in order to disguise her appearance while on the run. As always, there is a cash reward leading to the arrest of any Detroit Most Wanted. You can call the Marshal at 313-234-5656.